Several anecdotal reports indicate that walruses (Odobenus rosmarus) occasionally attack seabirds, which potentially impacts local bird populations. However, the manner in which walruses interact with seabirds and the motivational basis of such interactions have not been investigated. Here, we describe and characterize the behaviour of wild Pacific walruses (O. r. divergens) directed at seabirds in water near the summer haulout in the Chukchi Sea. Although most walruses showed no interest in seabirds nearby, some individuals intentionally approached them both alone and in groups. A total of 74 seabird encounters for 71 individually identified walruses were registered. Behavioural analysis based on detailed observations, photography and video recording showed that the most common types of walrus behaviour toward a bird were approach by surfacing and splash, approach by surfacing and hit and attack from below. Immature individuals initiated 82% of encounters. 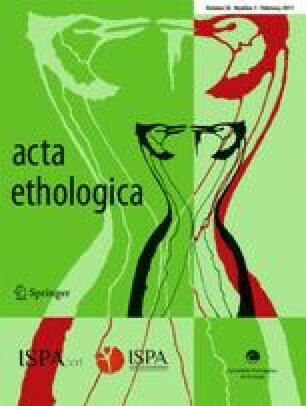 The motivation to approach a bird was low in adult individuals, with the majority of encounters involving adults initiated by males. Walrus encounters with live birds showed a very low rate of bird kill. Encounters with dead birds were followed by further manipulations with bird carcasses, which included both the consumption of bird soft tissue and object play taking the form of drop–catch behaviour. In addition eight cases of the object-oriented play with a bird carcass in a group of walruses were observed. Object play in wild walruses is reported for the first time. Our results indicate that in seabird encounters, walruses display diverse behavioural patterns, not limited to predatory responses. The online version of this article (doi: 10.1007/s10211-016-0248-x) contains supplementary material, which is available to authorized users. We are grateful to Heritage Expeditions, and personally to Rodney Russ, for the valuable help in the transportation of the research team and equipment to the Kolyuchin Island. We thank the staff of Beringia National Park for the assistance in the organisation of the field work and native communities of Nutepelmen and Vankarem villages for their help in local boating and logistics. We also thank Natalia Lentsman for English style corrections. The research was funded by the Russian Science Foundation (grant number 14-14-00284). Systematic monitoring of the walrus haulout on Kolyuchin Island has been carried out since 2003 (Pereverzev and Kochnev 2012), and the walruses normally remain unaware of the presence of a small groups of humans on the top of the cliff above the haulout. Observations were conducted distantly, and every effort was made to minimize possible disturbance to walruses and seabirds. Field work was conducted with the approval of the Saint Petersburg State University Animal Ethics Committee (Ethics No. 131-03-5). Permission for the scientific research in Beringia National Park was obtained from the park authorities (Research Agreement No. 006). Supplementary Video 1. Encounters between juvenile walruses and seabirds: (episode 1) top view of the study area near a haulout on Kolyuchin Island, Chukchi Sea, Russia, (episode 2) a walrus with a seabird carcass playfully ‘offers’ it to the adult male, and then walruses continue interaction without the carcass, (episode 3) a walrus approaches a pelagic cormorant (P. pelagicus) underwater and attacks it, (episode 4) a walrus approaches a glaucous gull (L. hyperboreus) by surfacing and makes a splash with flippers, (episode 5) a walrus approaches a black-legged kittiwake (R. tridactyla) carcass and hits it with the tusks. (MP4 32492 kb).